It amazes me that more than 95% of their budget is being spent on bringing visitors to their site, they aren’t doing everything possible to convert visitors into paying customers. A poorly optimized page will drive away visitors and waste a large chunk of that money invested in lead generation. Inform your customers when a particular product is about to run out of stock. This encourages them to purchase immediately, or they might miss out on the product. A low stock level also reassures the customer that the item is popular; this gives them confidence that they are making the right decision. If, however, you have data to suggest that customers purchase multiples of the item, showing low stock levels might have a negative impact on sales if there isn’t enough stock to cover their need. This tactic is probably best when you are confident that you sell the item in singles. One trick that works very nicely is having a countdown to the daily delivery time cut-off. If your courier collects at 4pm and your cut-off is 3pm for orders to leave your warehouse that same day, let your visitors know in a clear and precise way. Buyers are inpatient. You can take advantage of their impatience by letting them know if they order soon; they could get the item as quickly as the following day. The best implementation of this method that I have seen was on The Workplace Depot website (you can see an example product page here). They take this process a step further and actually remove the countdown timer between the hours of 3pm (their cut-off) and 7am – this way, it doesn’t put visitors off from ordering if they browse the website at 15:05 and realise they have almost 24 hours to order. 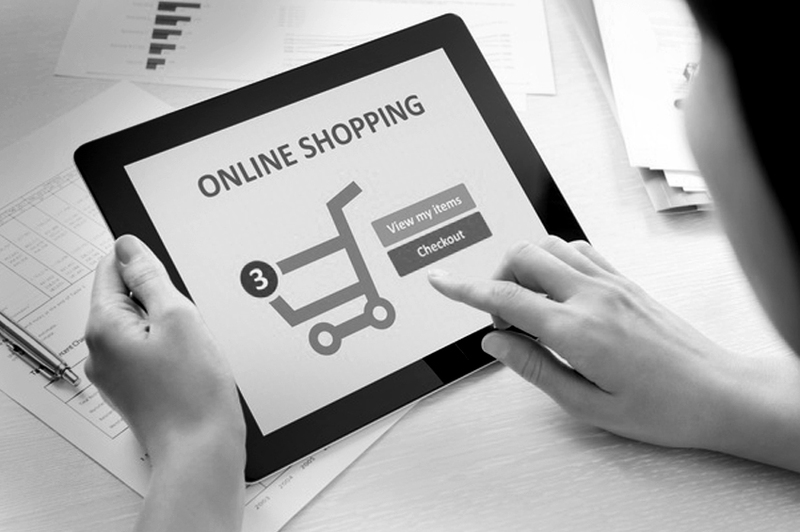 A growing proportion of customers look for free shipping when they buy products online. Having large shipping fees will scare visitors off and have a negative impact on your conversion rate. You have to ensure you have enough margin to cover the delivery fee but if you do have the margin, offering free shipping will certainly increase your orders. As ever, there is a balance. Depending on your margin, you will need a certain amount of increase in orders to cover the cost you used to receive from customers paying a delivery fee. You could offer limited-time discounts, free items or package deals to encourage customers to buy before the deal ends. Highlight the amount they will save by buying now, the time left before the deal expires, and the number of people who have already bought that deal to encourage them to click that all important add to basket button. Ill elaborate on the point above; if you don’t optimise for the correct keywords in your inbound marketing strategy, the quality of visitors could be low. If the visitors coming to your sales page don’t find the information (or product) they are looking for, they will leave – it’s that simple. 6. Easy to understand and Navigate? Conversion rates increase massively if you just make things simple and clean (and maybe even bland!). As long as you have a clear call to action (in this case, an add to basket button) there is little chance of confusing visitors. Make the button stand out and try to ensure minimal distractions. Look for areas of the product page that might draw the eyes away from where you want your visitors to look. 7. Is the Price obvious? You have to make the price of the item very visible – it is one of the most important pieces of information on the page. Not only does it have to be visible, it should also be clear. Avoid adding fees and if your prices are excluding taxes make it obvious otherwise you might lose an order at the checkout when they realise it will cost them more than they expected. 8. Is the Product Price competitive? You may have very little control over this aspect, and the last thing you want to do is start a race to the bottom with your competitors, but it is important that you try to match the customer’s perception of value. If you pride your store as being competitive then don’t be afraid to brag about it by adding a price comparison between you and your competitors. 9. Is the product suitable for my needs? A great way of ensuring the visitor understands the quality of your product is to show off reviews that existing customers have about the product. Adding reviews to product pages should really help. 10. What is the Delivery Cost? Amazon have mastered converting visitors into customers by ensuring the visitor perceives value. One way to do this is to offer free delivery. Sometimes free delivery isn’t an option but it’s important not to seem too steep. Regardless of the cost of shipping, make it obvious early on. Transparency is important if you don’t want to lose a customer when they find out that they have to pay unexpected charges when they get to the checkout. 11. How long does Delivery take? Long deliveries are a killer for your conversion rate. Customers are impatient and offering a quicker delivery option actually helps boost sales. 12. What Payments methods are Available? Having lots of payment methods means you can match the expectations of a larger audience. As usual though, don’t over complicate it. 13. Should I trust this Company? Trust signals are hugely important. Try to offer guarantees and take advantage well known certification brands like McAfee Secure and Trusted Shops. If you have won awards, show them off. Another way of generating trust is by adding genuine reviews of your service. Display your phone number and live chat icon clearly. This shows your customers they can reach you quickly if there’s a problem. A global consumer trend study found that 90% of customers consider live chat helpful, and another study indicates 63% of them were more likely to return to a website that offered live chat support. In fact, 38% of customers said they had made their purchases because of the chat support they had received. That’s why many good eCommerce websites now provide instant live chat, and so should you. Having a telephone number on your eCommerce website is an absolute must. What adds extra trust is having a telephone number that is free to call. The costs aren’t substantial, but the benefits can be massive. Need help building your custom e-commerce website today? Contact us for a free price quote.